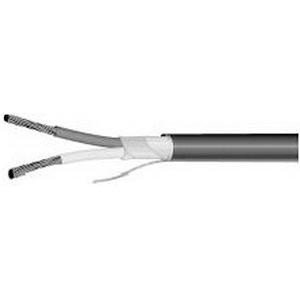 Omni Cable 18/8 Security and alarm cable has 0.015-Inch gray PVC jacket to withstand harsh environmental conditions. This bare copper cable has 0.009-Inch PVC insulation that resists electrical leakage and offers protection against environmental threats. It has 100% overall aluminum/polyester shielding with tinned copper drain wire to reduce electrical noise from affecting the signals. Cable has voltage rating of 300-Volts. It has yellow color-coded conductors for easy user identification. Cable has outer diameter of 0.245-Inch. It is ideal for power limited control circuits and for wiring intercom, security as well as audio systems. Cable meets NEC Article 725 Type CL3R and NEC Article 800 Type CMR standards.